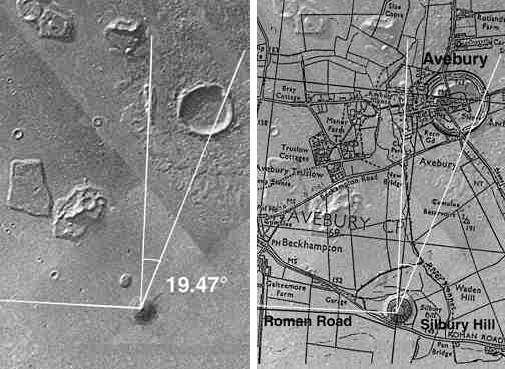 In 1991 it occurred to Prof David Percy that the Cydonia crater on Mars was a depiction of the Avebury circle in England. This led him to match the nearby Silbury Hill with Cydonia’s spiral mound. 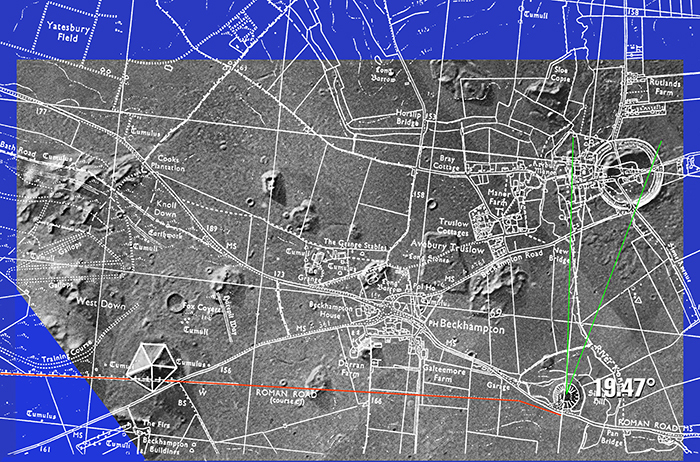 Further investigation revealed that Avebury was in fact a mirror of Cydonia with other landmarks corresponding with each other with the exception of the ‘Face on Mars’ which is also part of the Cydonia complex. Richard C. Hoagland championed the theory and presented the findings in his famous lecture in the 1990s. Hoagland speculates that the primary meaning of the geometry of Cydonia is to emphasize the ratio of the sphere and circumscribed tetrahedron. “The angles of a tetrahedron, 720° x 2 = 1440 multiplied by Pi, the universal constant, extends to 4523.893421, thereby encoding 41° 11’ 10.03080581″ which is the precise latitude of the ‘face’ on Mars.